316SS propellers and shafts are standard. Optional coatings such as rubber, PVC or Teflon® also available. All JGR mixer shaft bearings are permanently lubricated. 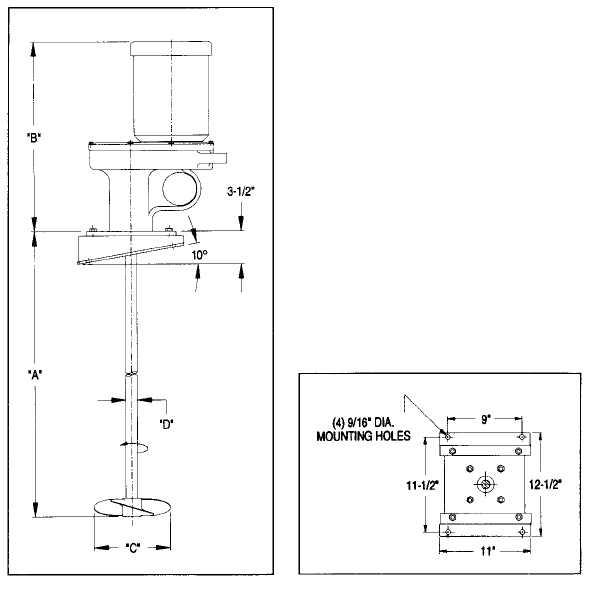 Angle-riser mount provides a fixed 10° angle of entry.